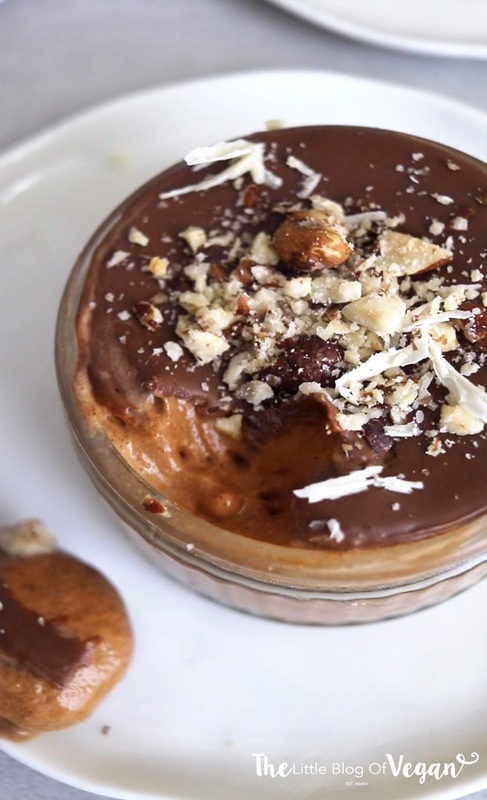 This is one dessert you will definitely want to make! Light, airy, bubbly and creamy are the main words to describe this decadent dessert. 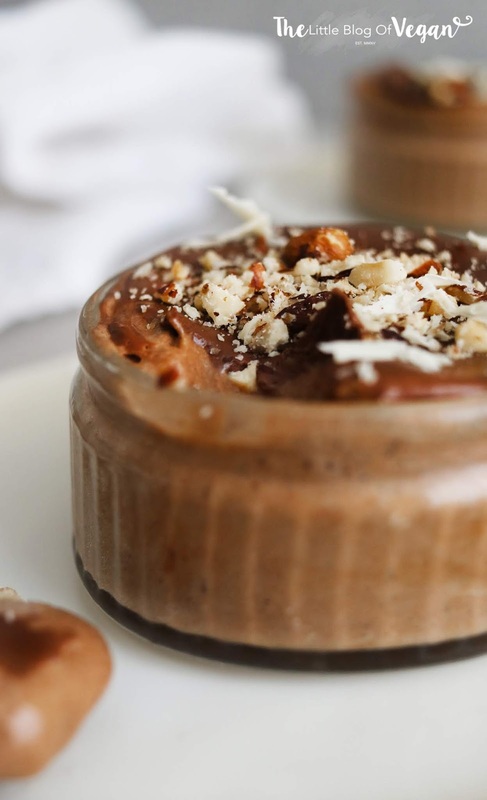 An extremely quick & easy 'Nutella' mousse, made with aquafaba (chickpea brine). It is one of the most delicious yet easiest desserts you can make and will be sure to go down a storm! Step 2- Using a stand mixer or hand mixer, whisk the aquafaba until foamy, then add in the cream of tartar & vinegar and continue to whip until stiff peaks form. This will take around 5 minutes on high speed. Step 3- Fold the aquafaba mixture into the 'Nutella' mixture until fully combined. Don't over mix or you will deflate the air. Step 4- Pour into small serving dishes and pop into the fridge to set. This will take around 5-8 hours. To serve, I topped the mousses with some homemade chocolate ganache, some chopped hazelnuts and grated dairy-free white chocolate. Cover and store in the fridge and enjoy within 2 days of making. Wow, this looks so delicious! 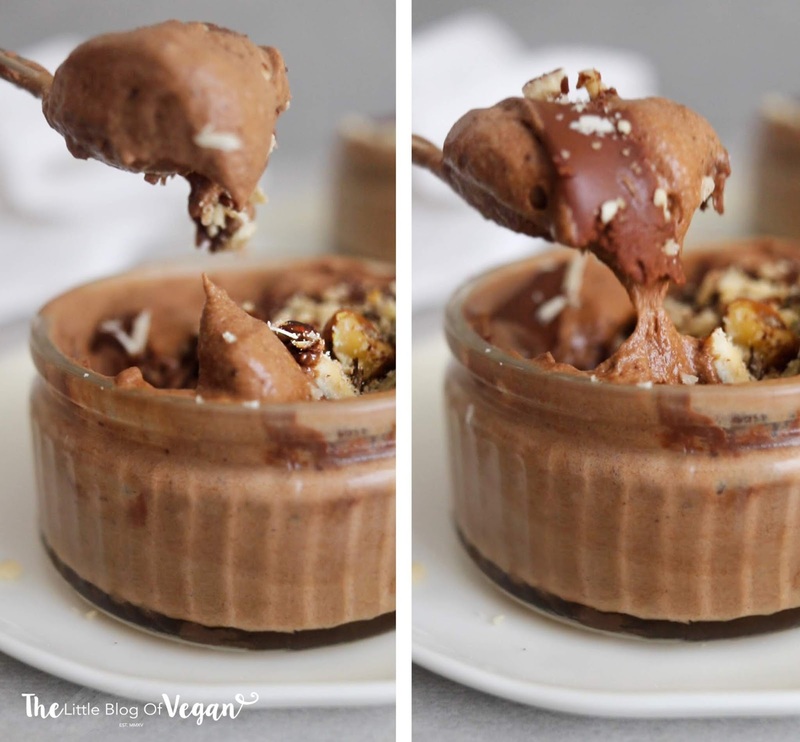 I've missed treats like mousse since being vegan so I can't wait to make this asap! 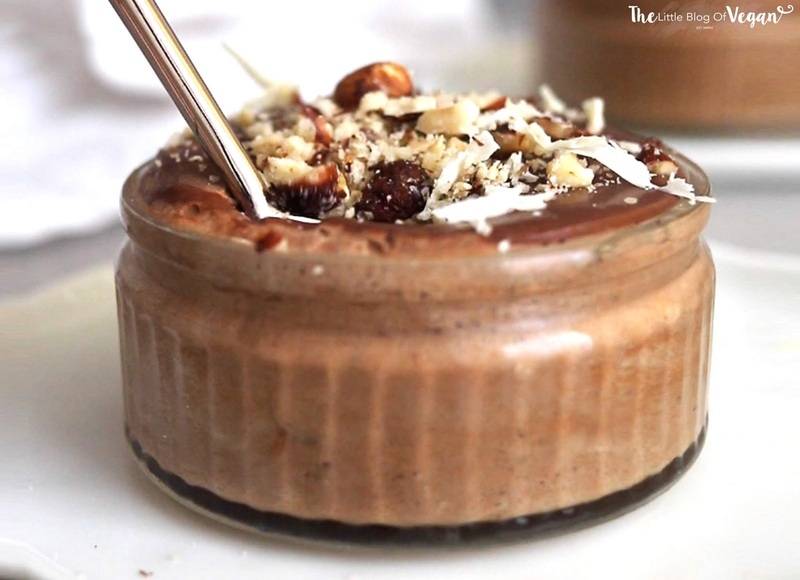 Oh my goodness this mousse looks so delicious and I love how easy it is to make!